Belize's waters are home to 1,400 different species, including 500 types of fish and 100 corals. This reef hosts the world's largest population of threatened west Indian manatees, as well as endangered sharks and marine turtles. The survival of these rare animals depends on keeping their habitats safe from threats. In 2009, UNESCO placed the Belize Barrier Reef Reserve System on the List of World Heritage in Danger. In recent years, the reef's ecosystems have been damaged by coastal construction, and oil concessions continue to pose a threat. 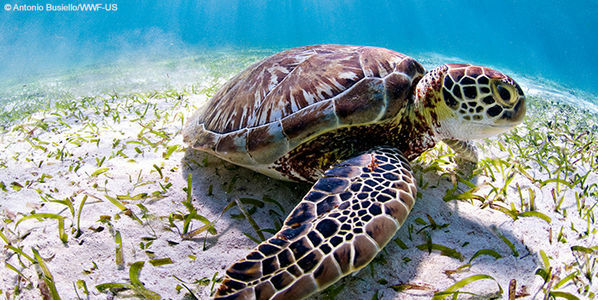 Drilling for oil anywhere in Belize's waters would put the reef at risk, and should be banned. Together we can protect the Belize barrier reef World Heritage site from harmful industrial activities. Email the Belize prime minister to show that you care. I encourage you to secure the long-term protection of Belize's reef as a positive legacy of your leadership for Belizeans and the world. Nearly 200,000 Belizeans are estimated to rely on the reef. To safeguard the well-being of these families, it is essential to keep marine and coastal environments healthy. Harmful industrial activities, including unsustainable coastal construction and oil exploration, should not be allowed. The reef's economic contribution accounts for 15 per cent of Belize's annual GDP. That includes approximately US$15 million from the commercial fishing industry and about US$200 million from tourism activities. Sustainably managing the reef and keeping it free from harm can secure stable income streams for residents, and attract investment. Coral reefs and coastal mangroves provide protection against storm surges, hurricanes and erosion. These ecosystem services save Belize up to US$350 million per year in avoided damage. Industrial activities like construction, dredging, and dumping can destroy these valuable reefs and mangroves.